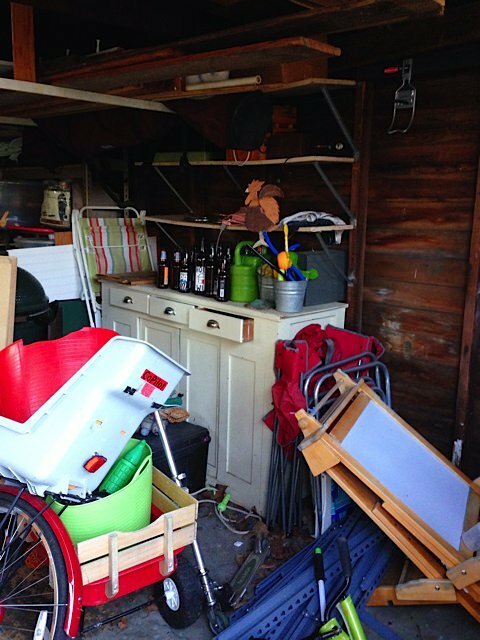 The sun was out in Portland this weekend so we decided to use the weather to our advantage and clean out the garage (my husband was thrilled). We’ve done this before but after a couple of months it ends up a disaster once again. So this time I decided to strip out everything inside and start fresh. 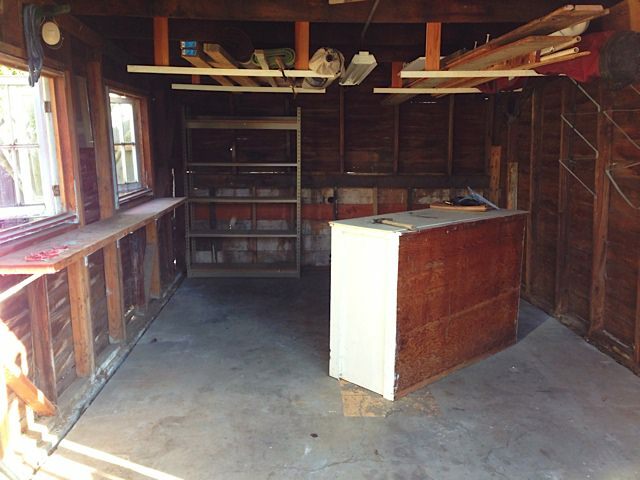 We took out all the shelves and bookcases that we had been using for storage. 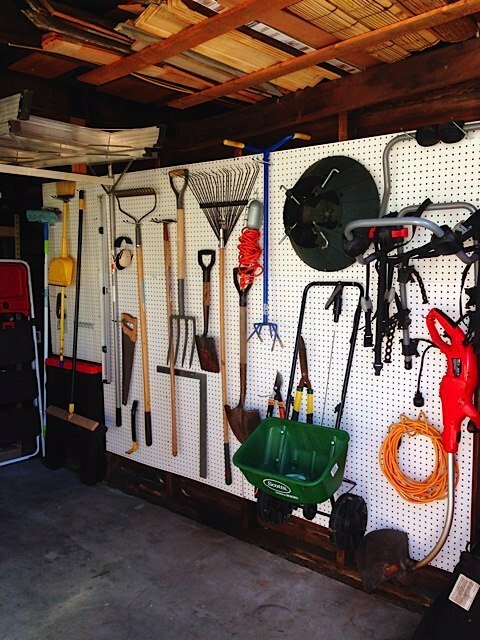 We bought pegboard and hung all of our tools and brooms. 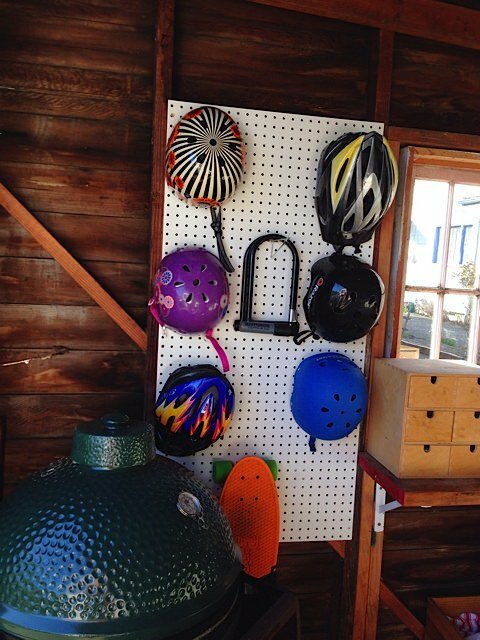 Can I just say, I LOVE PEGBOARD! 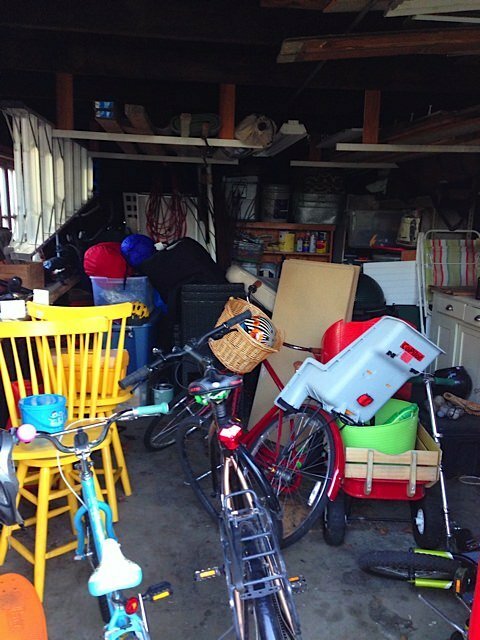 It gives the garage such an organized feel and you can see and reach everything. I decided to float the one cupboard – that was originally against the wall – in the middle of the room. 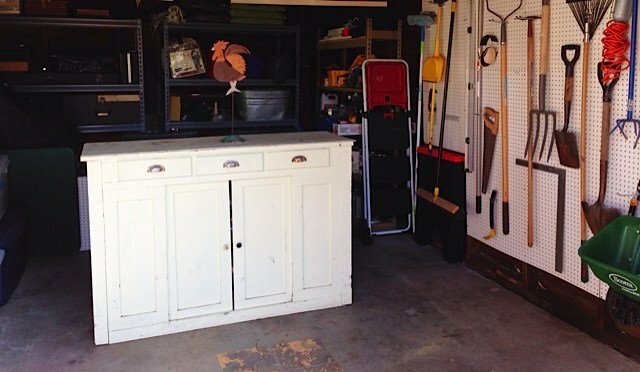 We use it a lot and now it gives us a work surface while also giving us another “wall” to store seasonal chairs behind. I think this new set up will be easy to maintain and hopefully we’ll never have to clean out the garage again!